“When my wife and I stepped in your store about a month ago, we had no idea that it would trigger an incredible change of sound and music in our own home. What you are providing at The Art of Sound goes way beyond the products you sell, you provide a service that is far more valued than the equipment. For music lovers like myself and my wife, who don’t know much about the world of high-end audio equipment and are only exposed to what we normally see at regular electronic shops such as Best Buy and other franchises that carry regular consumer grade equipment, your store was a breath of fresh air. I occasionally read about high end equipment in various audiophile magazines. But one cannot experience sound from a piece of paper. When I see brands and reviews online through retailer and distributor websites, I cannot hear how they would sound while reading on a computer screen. Only way to experience true audio sound quality is to experience it live, in person. That is what your showroom provides. With the increase in online shopping over the last few years, I feel that brick and mortar shops are at a disadvantage. 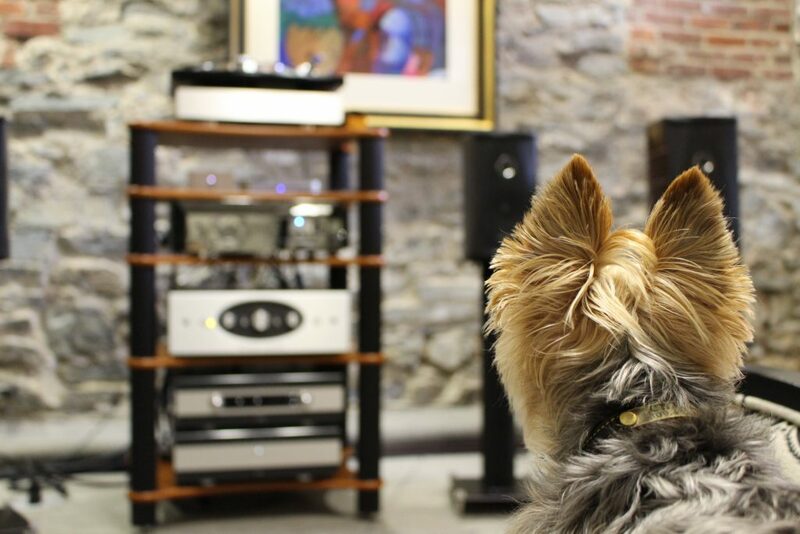 At your showroom, you carry a variety of equipment ranging in price and quality that allows consumers like myself to experience amazing sound and evaluate my options to buy. You spent hours of your time explaining the differences in the equipment choices. I could never get that from an online store. So even if you sold products to match online prices, which unfortunately many buyers these days expect, it’s a disadvantage to you given your cost of maintaining inventory and the time you spend in consultation for your customers. “I’m having coffee, reading the Times and listening to Bach coming into the blue sound speaker over the fire place. The brown sound is rumbling in the basement. I just want to thank you for putting all this together. I know it’s what you get paid for, but we pay for a lot of things, and it’s rare to find such high levels of excellence in execution”. Bob R.
“A huge thank you to you and your team for the exceptional work you did updating our home entertainment system. We were so impressed by the breadth of your technical expertise, your passionate attention to detail and design, and your ability to tailor our options to create a streamlined solution that both sounds and looks tremendous, and beautifully suits our space. You exceeded every expectation (and now all we want to do is wallow in our home entertainment!) We will definitely recommend the Art of Sound without hesitation!! !” Jon M.
“The new living room rocks! Thanks much for checking in. Now about those speakers in your showroom…. wish lists are good! I think the cave will be routine place to visit now. Thanks again!” Chris L.
“Hi John and Patti, Thank you again for a wonderful listening event last night. We once again had a memorable evening of great music and hospitality. Looking forward to seeing you both again next month.” Event attendee.